Parker, Colorado. 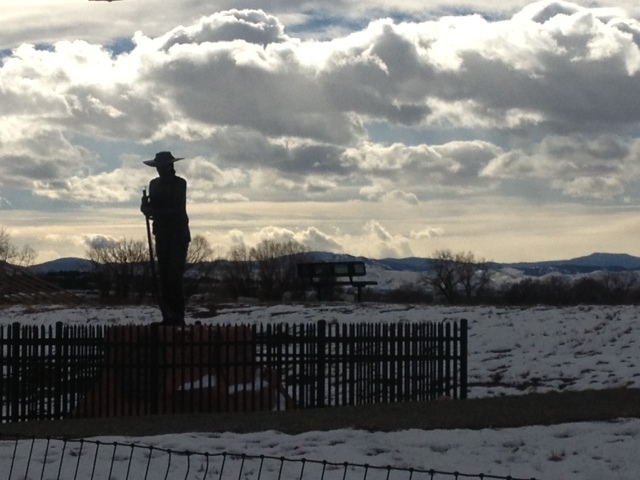 Twenty some miles south of Denver city limits. You can smell wild sage in the air, adult rabbits zig zag across the ergonomically winding residential streets. My roommates, who I will affectionately call Starlily and Starman and I decide to take a walk. It’s a bit past six and the day is still lengthening easily. We gulp down Tecates and we let the sounds underneath our shoes take up the talking. Colorado has a wide sky with enough room for more than one story, more than one possibility to play out in the scape—my kind of sky. A show-off sky, a sky to make humans remember they are small. Nothing like the sky I’ve left behind in Louisiana, which can make the smallest person feel big, so big that you wonder if you should move at all. The sky in Louisiana, even on its most expansive days, closes doors, and hugs you till you stop squirming. It’s the sky that comforts me. The Big West sky? This is what I need when I’m in heart Recalibration mode. This one has many possibilities. In the northern edge, there are virgas, Starlily says. I think of them like hangnails. Wispy half-connected strands of clouds, they don’t have the gravity or length to become precipitation. Fuzzy brushstrokes of silver-edged whiteness thread up and down. The west is clear, sapphire and layers of sunset in confident blocks: blue and yellow, with one firey gold explosion mostly contained. 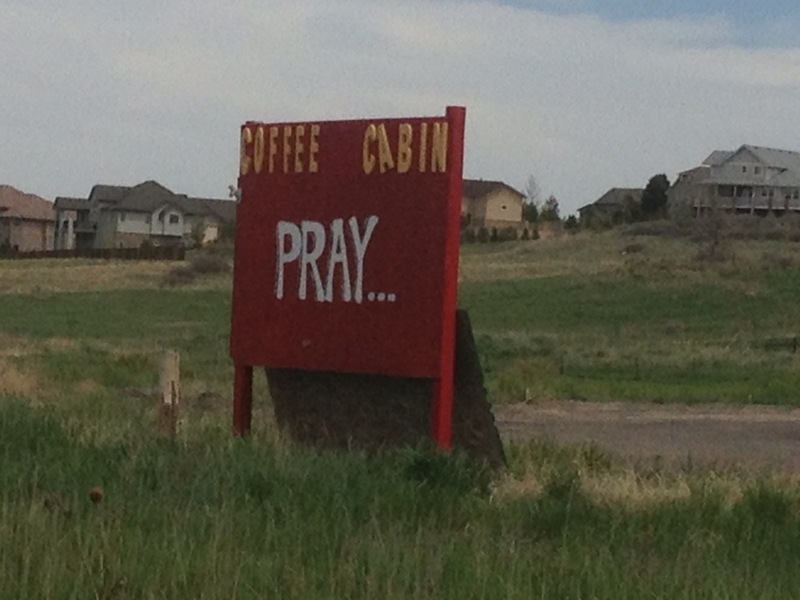 Wes is the proprieter of the the Coffee Pray Cabin on Parker Road. I avoided the drive-thru coffee stand on account of him telling me to pray on his sign. I don’t like to be told to do anything, let along pray. Parker Road is about seven lanes wide, and the sunsets cast a glow along the new developments and snipped-off ranch lands in such a way that makes the land here amenable to a small town feeling, never mind there are at least five self contained housing developments and all the big box stores you could ever want. I am the proprietrer of Coffee Cabin, my sign was not intended to offend anyone, but instead to offer peace in the aftermath of a horrific tragedy which affected our community and two of our customers personally. So to the author of the above article, if I offended you in any way I apologize, but THANKS FOR STOPPING BY!